Having retired and downsized our home we no-longer have sufficient display space to do justice to our amazing private collection of Balinese sacred, ceremonial and dance/drama masks, and have therefore reluctantly decided to sell the collection in its entirety. 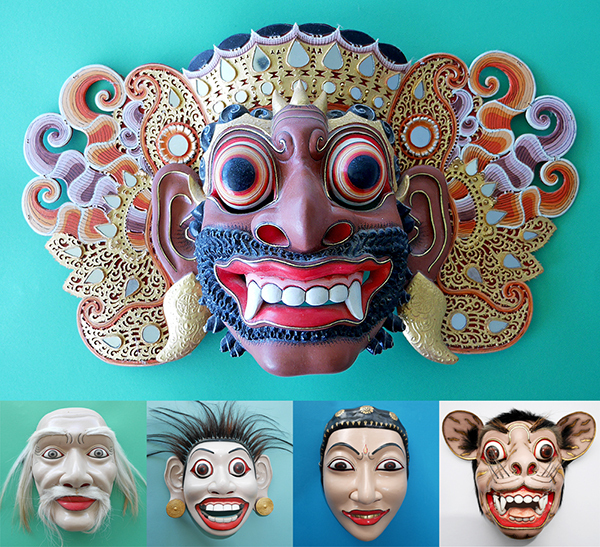 We began collecting Balinese masks in the mid 1980s – seeking out the finest carvers on the island and commissioning them to make sacred, ceremonial and dance/drama masks for us. 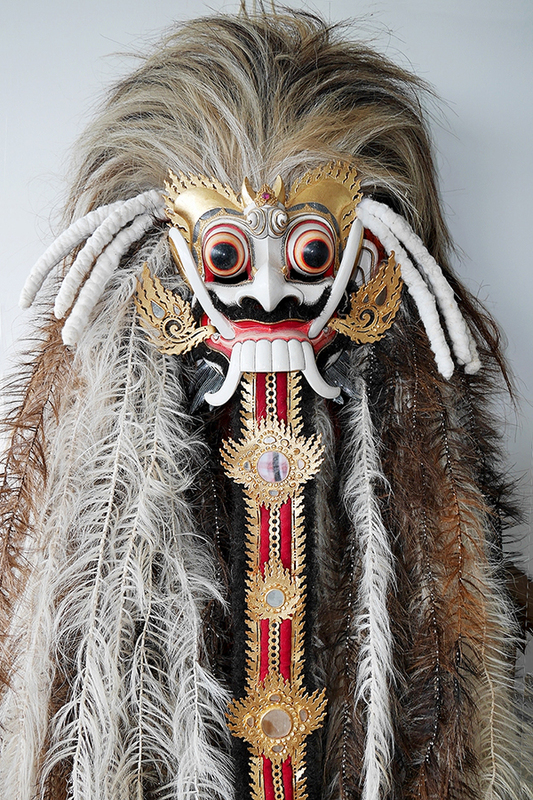 Some masks can take many months to complete and it is extremely rare for classical Topeng, Wayang Wong, and sacred masks such as Barong and Rangda to be made for non-Balinese…so we are very privileged to have gained the trust and respect of these renowned carvers. Our masks were collected and commissioned during the course of 40 or so trips to the island to study its art and culture, and also for business. We believe our collection ranks among the best in the world. We are not prepared to split the collection or sell individual pieces. The full collection can be seen here (a new window will open).